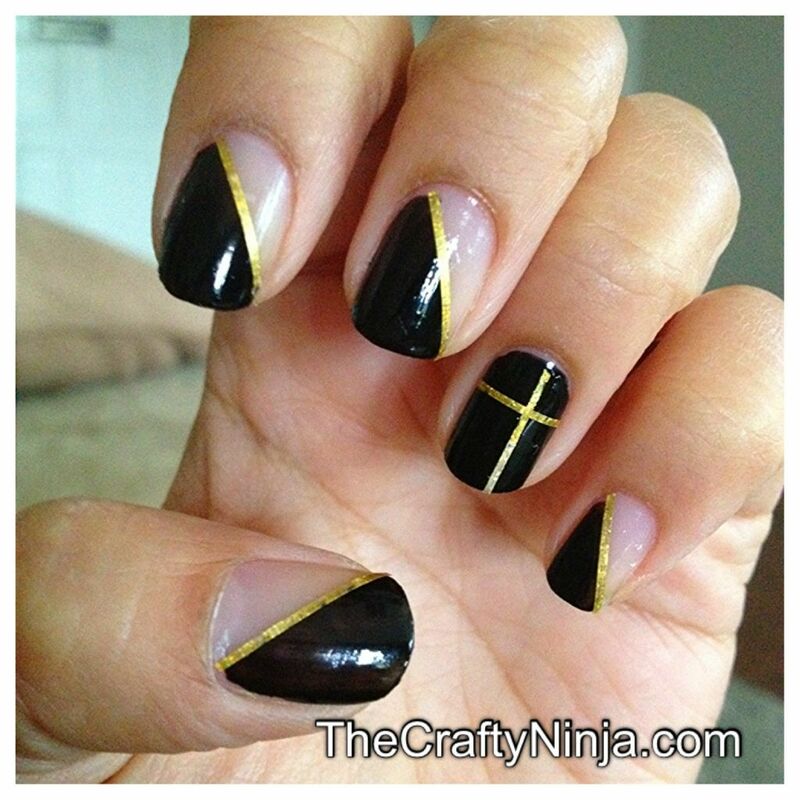 First check out how I created this Diagonal Nail Tape Mani. I used a gold nail tape stripe (purchased here) to decorate my nail art. I first painted my nails with Finger Paints Base Coat to protect my nails. 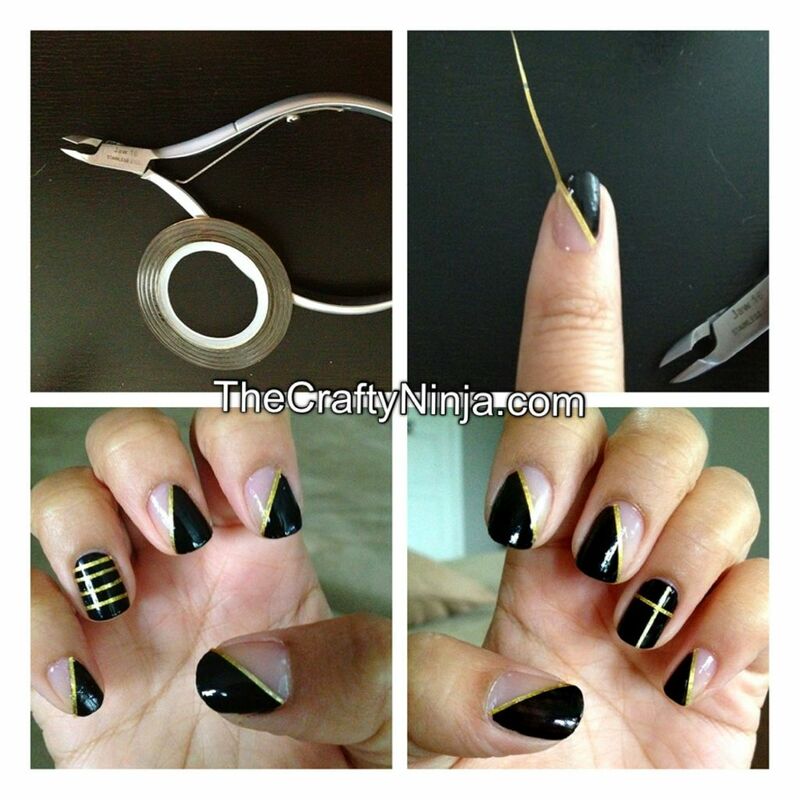 This mani is so simple to create you will need: Nail Tape Stripe, Nail Dot Tool, and Cuticle Nail Cutters. First roll out the nail tape and place on nail. With the Cuticle nail cutters cut the tape off, using the cuticle cutters gives a closer precise cut than scissors. Using the nail dot tool rub the nail tape to stick. Finger Paints Top Coat to seal and protect the nails. I created different designs to my ring fingers, let your creativity flow! Check out my other nail tape stripe Nail Tape Dots.